“Rachana will be born from the dream of a sole man. In a few years, a whole population of statues will rise, like fabulous wheat, on the summits and the slopes of that almost naked hill, which looks at the sea with defy.” Stétié Salah, L’Orient Littéraire, 1959. Salah Stétié wrote these words in 1959. Rachana was yet to be: embryonic, its only nascent existence comprised of one tiny village, of a hundred or so inhabitants. And yet, for fiffty years now, Rachana has become a, indeed ‘the’ ‘museum village’ in the popular imagination: the lovechild as it were of Michel Basbous and his brothers, Alfred and Joseph. Indeed, the words ‘Rachana’ and ‘Basbous’ are so closely and Joseph. Indeed, the words ‘Rachana’ and ‘Basbous’ are so closely associated, so signally entwined, that Basbous came to name his only child Anachar, the inverse and anagram of Rachana. In time, so eminent and popular, the Rachana phenomenon, nay, the Rachana anomaly, became a central nodal point on the touristic map of Lebanon – a lit flare of much-renown on the beaten path between Jbeil and Batroun. Its good repute became so Titanic that it came to be seen as a knitted given in the local cultural topography, as though it were not manmade, but a part of the warp, weft and native grandeur of Nature herself. There is and always has been a deep osmotic investment between the work of an artist and the place in which he grew from childhood to adulthood, from neophyte to consummate master of his art. For Michel Basbous, Rachana was of a plosive, richer plenitude; Rachana was the beginning and the end of the story, his own, his own-most. at least its art and civilization..."
Basbous’s dream of turning a mute village into a loud-speaking art-destination was coming into fruition. In fact, a theater festival opened close-by, when Antoine Moultaka saw the potential of staging a Macbeth among the haunting sculptures. Other performances followed in its wake, including international productions, among them Seven Against Thebes directed by Jack Lang, Francois Mitterand’s incumbent minister of culture. 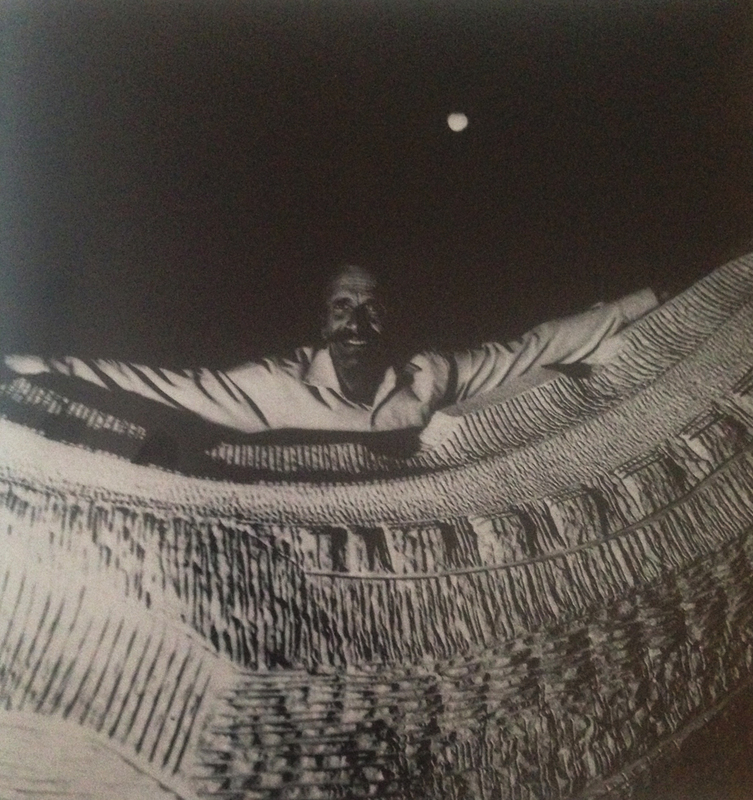 Despite all the difficulties native to such a daring vision and project, Basbous succeeded resolutely in putting his home on the map, attracting and bringing other artists and thousands of visitors to a remote, ill-equipped and as yet unknown place. As the Livre d’or and the photo archive testify, Rachana became a hub for the local and international jet-set. and the time so little. Consequently, Rachana became an international venue: Journalists, Writers, Artists, Art amateurs and Architects discovered in this small village a warm, inborn and permanent welcome that is hard to find elsewhere. But the dream of Michel was to make this village a venue for sculptors and artists that would sojourn there in order to create, in individual habitations, some ultra modern architectural units of which he had already created a prototype, or a similar unit, in the extremely original house: the foundry. 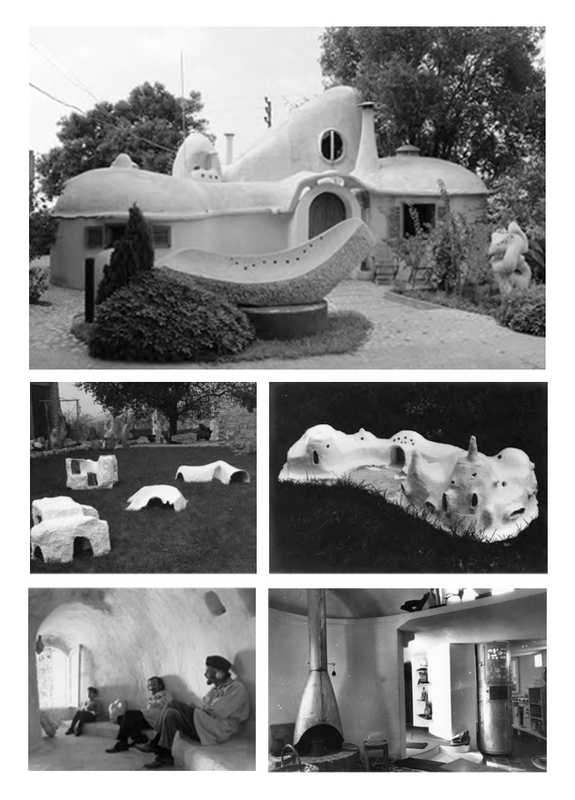 It was the house that he would later on call: “How to inhabit a sculpture”. But the dream was so big, and the time and finances so little. The foundry remained a specimen waiting to be developed. 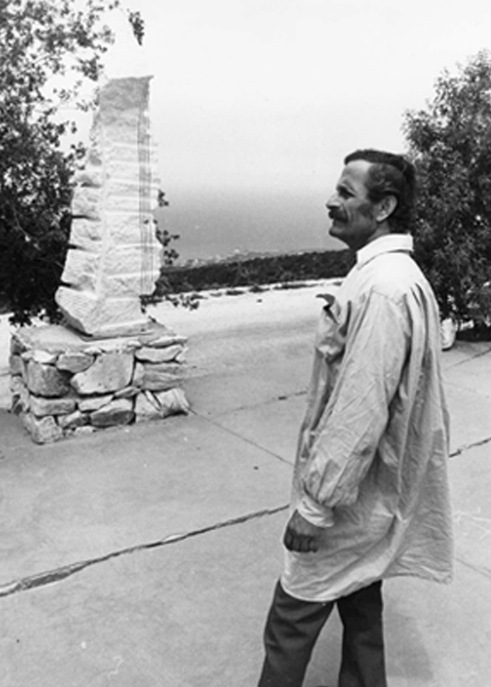 From this unaccomplished dream emerged the idea of the Rachana Sculpture Symposium. would be a big Rachana;"
If time has failed the Grand Sculptor and his Grand Dream, building an artist village in Rachana that would host artists from different cultures and creative fields, Alfred Basbous, Michel’s younger brother, was ready to take over. 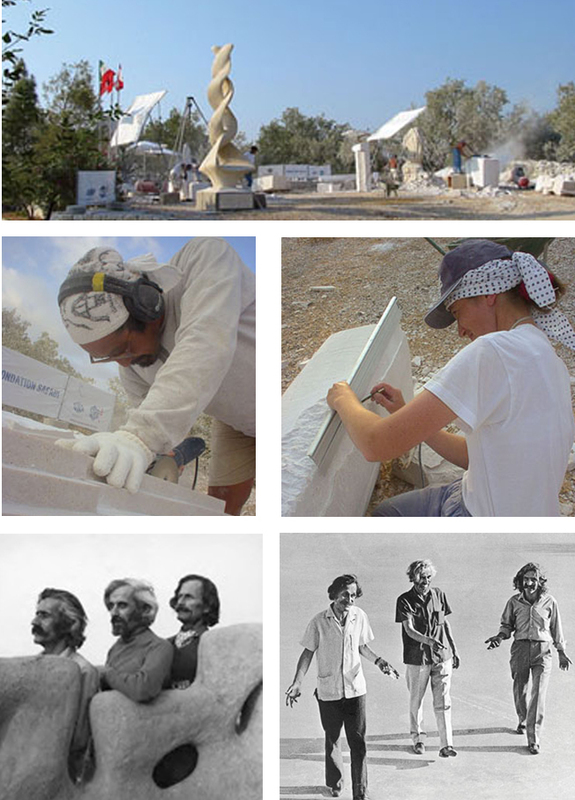 In 1994 Alfred, now a renowned sculptor with a considerable artistic wealth and nearly 40 years of creatively molding limestone into art, embraced the mission of pushing the “museum village” beyond its local identity to grant it an international character. 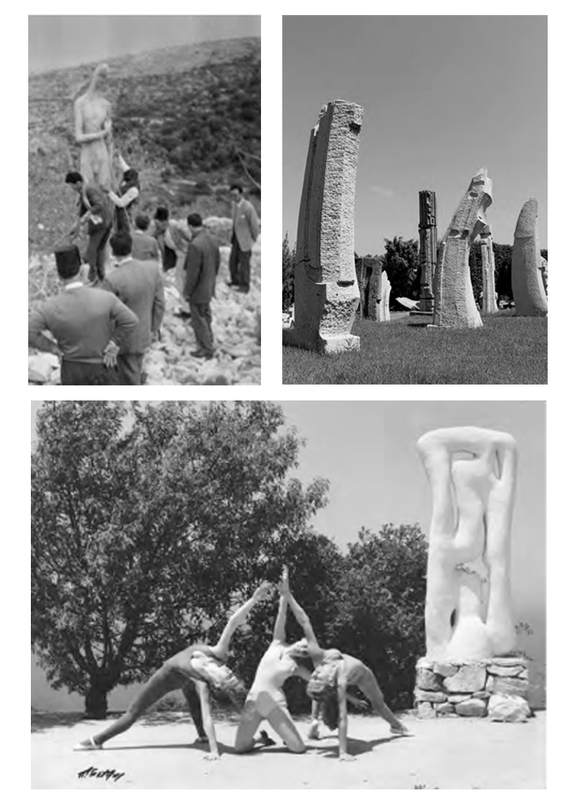 He originated, for the first time in Lebanon, the concept of an annual sculpture symposium, where artists can sculpt the stones using the direct carving style. For 11 successive years, the symposium has been taking place every summer in this land of brave men, and in the vibrant light that shimmers over stone and skin. Every year, under the blazing sun of July or August, a dozen of sculptors coming from different countries and speaking different languages headed towards Rachana to spend 15 days of their lives in front of the sea, their inner selves, the other sculptors, the Basbous family and the Lebanese audience that flocked every hour of the day. Thus, sculptors from the four corners of the world streamed onto the “village museum”. The artistic creations are exposed in the open air in Rachana’s International Sculpture Park. Transcending above the horizon and overlooking the world, these monumental sculptures are eternal witnesses of how “Art is above everything else”. This motto of Michel Basbous goes back to the 1930s where the sculptor, still an apprentice at that time, engraved these famous words on the entrance of his first workshop cave in Rachana. Rachana is and will always be faithful to the words of its founder and architect, this great visionary who dreamed of a distinctive future and culture for his hometown and for his country, Lebanon, which has become year after year a matchless melting pot of civilizations. This small land, disrupted time after time, remains faithful to its identity as a Phoenix that will always find a new life in the core of Rachana’s directly carved monumental stones.